Aerial photographs (GB89.J.11 and 14) show cropmarks of an irregular curvilinear enclosure defined by a parch mark of a bank and a positive cropmark of an external fosse; contiguous with ME019-027---- and ME019-028----. Compiled by: Dr Gillian Barrett for the Archaeological Survey of Ireland. Date of upload: 10 June 2009 Cropmark of monument visible on Google Earth aerial photograph taken 12 November 2005. 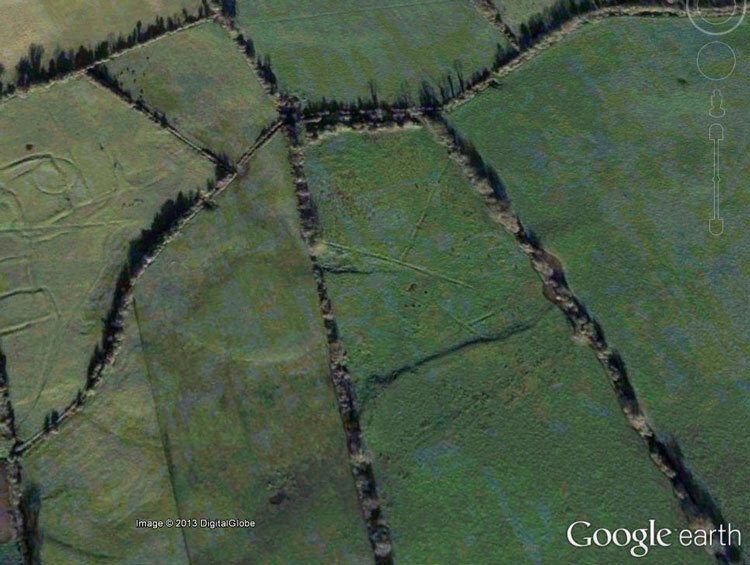 See attached aerial photograph taken from Google Earth.